When the downtown building in Tennessee housing the Memphis Commercial Appeal newspaper sold last April, the name of the buyer - Twenty Lake Holdings LLC - seemed of little consequence. 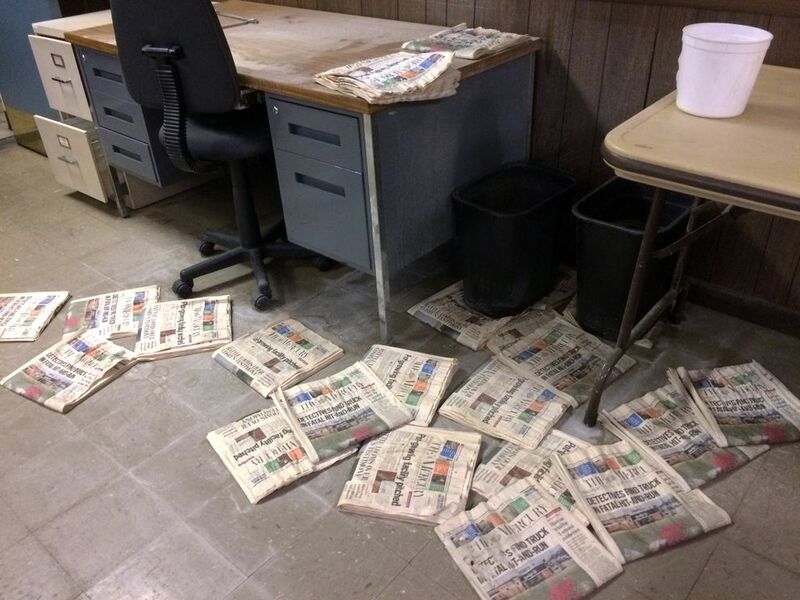 The paper would be moving from its longtime home amid declining circulation and a shrinking staff under its owner, Gannett. The old newsroom was little more than an afterthought. But Twenty Lake Holdings is not just another commercial real estate investor. It is a subsidiary of Alden Global Capital, the New York City hedge fund that backed the purchase of and dramatic cost-cutting at more than 100 newspapers - causing more than 1,000 lost jobs. For Alden and its subsidiary, the Gannett empire's newspapers are clearly an attractive feature. But by purchasing the Memphis building and others like it, Alden has already begun coming for what it may consider a bigger prize, Gannett's real estate. 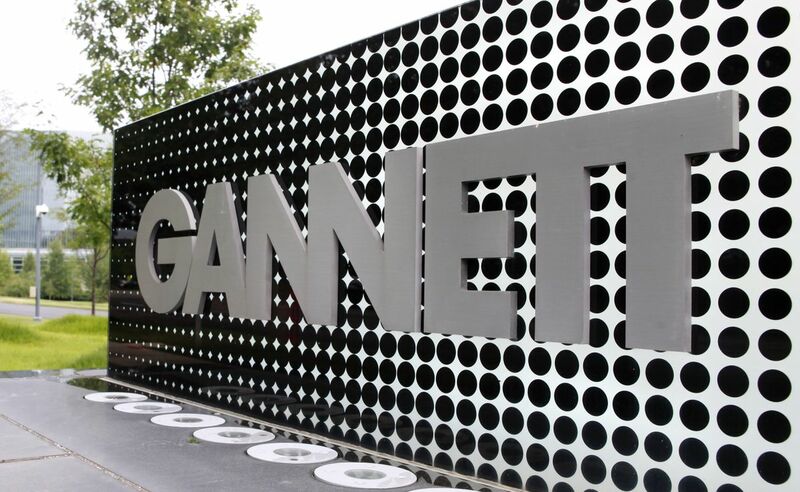 The hedge fund's newspaper business, Digital First Media, is bidding to buy Gannett, operator of the nation's largest chain of daily newspapers by circulation, including USA Today - as well as its $900 million in remaining property and equipment - for more than $1.3 billion. In a 2018 court case, Alden disclosed it has a series of affiliated real estate companies whose business is focused primarily on efficiently buying, selling, leasing and redeveloping newspapers' offices and printing plants. Two years after Alden established Digital First, it created Twenty Lake Holdings, which began taking ownership of some of the papers' facilities, according to public records. On its website, Twenty Lake Holdings says it "utilizes centralized brokerage, asset management, lease administration, legal, project management and architectural services to efficiently manage, transact, maximize value and minimize expense." After The Washington Post sent inquiries to the company's executives, the website for Twenty Lake Holdings was replaced with a page saying "Our website is under construction." Company president Joseph Miller declined to comment. Alden executives did not respond to requests for comment. In response to questions sent to Alden and Digital First, also known as MNG Enterprises, spokeswoman Renee Soto declined to offer any examples of the company investing anew in its media properties. Soto issued an email statement: "MNG is committed to the newspaper business and a long-term investor in the space. MNG's focus is on getting publications to a place where they can operate profitably and sustainably and continue to serve their communities." But experts said Alden has moved more aggressively to make money off its real estate than competing media companies. For Alden, the Commercial Appeal's building may not have been an afterthought but its main target. "I think real estate is the first thing they look at," said Doug Arthur, an analyst at Huber Research who said he met with Alden's founder, Randall Smith, around 2013 after he said Alden principals expressed an under-the-radar interest in Gannett, in which they proposed spinning off all of the company's real estate into a separate firm. Analysts say such a move would have yanked a potential lifeline the company's media properties could turn to for cash in hard times. Last week, Gannett's board voted to reject the offer, questioning Digital First's ability to finance the deal. Digital First fired back, nominating six people for Gannett's board. Gannett said it will consider whether the nominees are "committed to acting in the best interests of all of Gannett's shareholders, or are beholden" to Digital First. While Gannett is resistant to Alden's hostile bid for the company's newspapers, Gannett has already sold at least six of its buildings - at least five of them within the past year - to Twenty Lake Holdings or an affiliate, according to property records. In some instances, Twenty Lake has already extracted higher prices for Gannett's real estate than Gannett did. Alden subsidiaries are now working to help other media companies monetize their real estate, listing their properties for sale or lease, even as journalists at Alden-owned papers decry their management as "insanity," as the Denver Post editorial board did. "Alden has been down this road before," Arthur said. "They are the ultimate cash flow mercenary. They want to find cash flow and bleed it to death." Alden and Digital First, which controls 7.5 percent of Gannett's stock, clearly see it differently. "We Save Newspapers," chairman of the Digital First board, R. Joseph Fuchs, declared in a letter to the Gannett board last month, arguing Digital First has run a profitable newspaper business even as Gannett has struggled with shrinking revenue and a declining stock price. Alden's focus on declining businesses with excess real estate extends outside the media. After Alden purchased a stake in the discount chain Payless ShoeSource, the company filed for bankruptcy and announced it would close 400 locations and take bids on those leases from other firms. Alden's executives have been pegged as the grim reapers of journalism by employees of its papers. Smith founded Alden in 2007 after a long career as an investment banker, first at Bear, Stearns and Co. and later, according to a 1985 New York Times profile, at a firm he founded to profit off distressed companies by trading their stock and debt. Smith's protege and Alden's president is Heath Freeman, 38. A former Duke University place-kicker, Freeman is the youngest child of Brian Freeman, an investment banker who advised workers at troubled companies in negotiations with potential buyers, according to a 1985 Washington Post profile. The union that represents reporters at Digital First has tried to persuade Duke - to which his family has been a major donor - to remove Heath Freeman from the advisory board of the Freeman Center for Jewish Life because of his role in "weakening American news collection and disserving American democracy." Smith and Freeman began investing in newspapers in 2009 and by 2011 had established Digital First to manage Journal Register Co., which operated dailies and weeklies in Michigan, Ohio and along the East Coast, and MediaNews Group, whose publications were largely based in California. The two chains formally merged in 2013, creating one of the nation's largest newspaper operations. Digital First says it has "approximately 200" publications but lists 97 on its website. Digital First took an aggressive approach to mining its newspapers - already beleaguered by the rise of the Internet and decline of print advertising - for profit above industry norms. In 2017, about two weeks after the East Bay Times won a Pulitzer Prize for its coverage of the deadly Ghost Ship fire in Oakland, the paper announced one round in a series of layoffs that left Digital First's three Bay Area newspapers with less than half the employees they had in 2011. Last year, after the Denver Post laid off nearly a third of its staff, its editorial board published blistering criticism of the paper's owners and reporters traveled across the country to protest outside Alden's Manhattan offices. James Angel, associate professor of finance in the Georgetown University's McDonough School of Business, said other investment firms have used a similar strategy to monetize industries in decline. "Alden is doing what I would call a pure liquidation strategy - which is, 'no new investment and sell off what you can while you can,' " he said. Veteran municipal reporter Evan Brandt - one of four reporters left at the paper - chose to work out of his attic. The paper's old office is on the market for $500,000. When a discontented investor sued Alden last year, the fund's executives acknowledged what Julie Reynolds, a former Digital First employee who has researched Alden for the NewsGuild labor union, first reported: Twenty Lake Holdings, the firm that by then owned dozens of newspaper properties, was a subsidiary of Alden's. On its website, Twenty Lake billed itself as an adviser to companies "that currently have underutilized property and are seeking to reduce their real estate footprint." Another Alden-backed company is a property manager for real estate that Twenty Lake acquires. Another, Praxis Commercial, of Ardmore, Pa., brokers sales and leases of real estate once the newspapers have been relocated. Finally, according to court filings, Alden profits are directed to another firm - Strategic Investment Opportunities LLC, a wholly owned subsidiary of Digital First for which Alden serves as investment manager - to be redeployed elsewhere. When Digital First acquired two Southern California newspapers, the Orange County Register and the Riverside Press-Enterprise, out of bankruptcy in 2016 for $49.8 million, Alden made back millions within weeks when it sold 14 acres, including the Register's printing press, for $34 million, according to the Los Angeles Business Journal. Digital First acquired the Register Citizen in Torrington, Conn., and flipped the paper to longtime media company, Hearst. Twenty Lake sold 0ne of the newspaper's properties and Praxis is listing the other for sale or lease. When Digital First acquired the Denver Post, it sold the paper's printing plant - now also its offices - to Twenty Lake Holdings, meaning the Alden-controlled newspaper is now a tenant with an Alden-controlled landlord. Alden's approach and real estate deals have allowed it to rake in cash. Even as newspapers' circulation and revenue have declined across the country, in 2018, the company's operating profit margins were 16.2 percent - 5 percentage points higher than Gannett's, according to securities filings and Digital First's letter. Sometimes Alden moves profits into other industries, including a $158 million stake in a pharmacy chain called Fred's, according to securities filings. The value of Alden's investment in Fred's has since plummeted more than 80 percent. According to securities filings, Alden's affiliated accounts still have 41 percent of their $1.4 billion under management in cash - meaning the company has some firepower for more deals - but skeptics question whether it's enough to land Gannett. Digital First asked that the company halt digital investments altogether and wait to hire a chief executive to replace Robert Dickey, who will step down in May. Fuchs wrote of the company: "We save newspapers and position them for a strong and profitable future so they can weather the secular decline." It offered to buy Gannett for $12 a share, or $1.36 billion. Arthur, the Huber Research analyst, said Alden is keenly aware of Gannett's remaining real estate assets and that the firm produced for him a detailed study of all Gannett properties around 2013, with the idea of extracting them wholesale from the newspaper business. Since then, according to property records, Alden-affiliated firms have acquired at least a half dozen Gannett buildings, in places including Ventura, California; Newark, Ohio; and St. Cloud, Minnesota, despite not owning the papers. Arthur said the offer isn't best for Gannett investors because the price is too low, but other analysts, including those at JPMorgan Chase, took the opposite view. In a research paper, the bank offered a grim assessment of Gannett's recent performance, calling the publisher's performance "lackluster." Gannett's stock sunk 41 percent between June 2015, when it split up with its radio and television unit, and the end of last year. At the Delaware County Daily Times in Pennsylvania, the staff shrunk from 125 people to 25 in six years, said Bill Gross, executive director of the NewsGuild of Greater Philadelphia. Digital First sold the paper's old building for $2 million in 2016; reporters and editors now work out of a converted CVS and bicycle repair shop. "Management is already crying to me; they have too much space and they're thinking about not renewing that lease. They're thinking about having everyone work from home or from Starbucks." Brandt, the Pottstown Mercury reporter who works out of his attic, said it has been painful to watch Alden squeeze profits out of the Mercury only to - in his view - squander it on losing investments. Digital First’s Philadelphia unit turned a higher profit - 30 percent - than any of the company’s other units in 2017, according to media analyst Ken Doctor, who reported on the company’s leaked financial documents. "You're going to take the profits that you reap as a result of cutting our staff and hurting the community that we serve, and you're going to use it to buy stock in Fred's pharmacy and then lose all that money?" Brandt said. "That's what our purpose is? That's what our sacrifice was for?" Last May, Brandt's frustration propelled him to make an unannounced visit to Freeman's vacation home in the Hamptons. 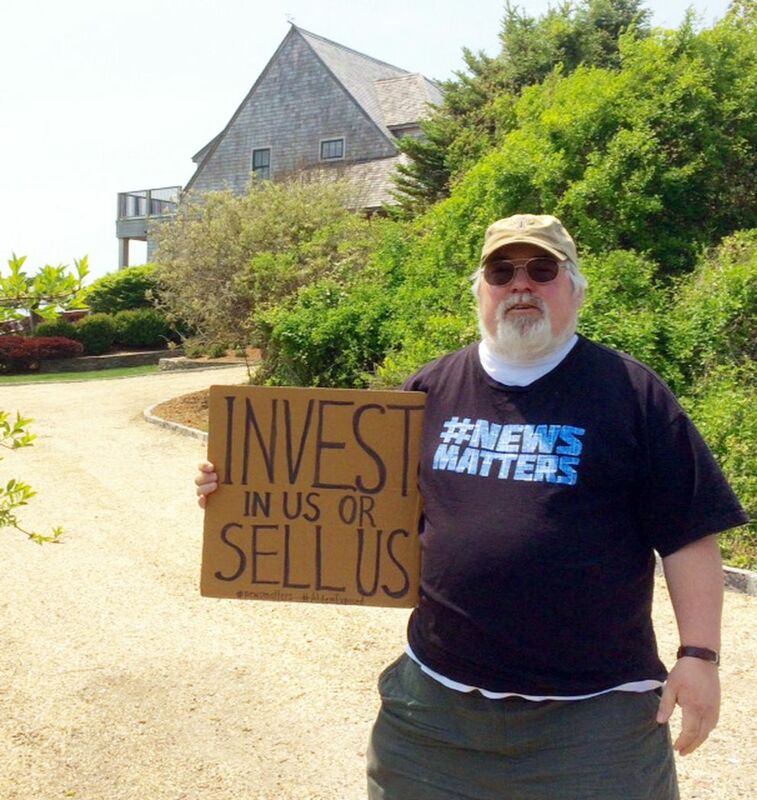 He showed up carrying a homemade sign that read "Invest in us or sell us" and wearing a T-shirt that said "#News Matters." A woman pulling out of the driveway told him Freeman wasn't home, he said. But when he knocked, a housekeeper let him inside, and Brandt saw Freeman on a second-floor balcony, shirtless and holding a baby.